K4 learned counting numbers orally from 1 to 50, recognizing even and odd numbers from 1 to 10, counting orally the multiples of 10’s and 100’s. Also, children learned sorting by shape, color and size. K4 revised the first group letter sound of s, a, t, i, p, n and second group letter sound of ck, e, h, r, m, d. through sound, action, formation, song, game and activity. Children also learned simple blending and tricky words like me, we, do and high frequency words like of, it, on, is at and up. 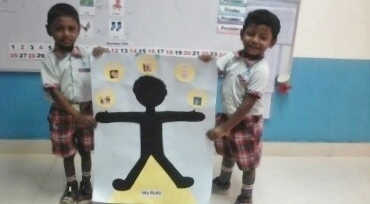 Integrated with stories, activities, art and music children learned about “My Body”. Teacher also created an atmosphere chart to show it to the children. 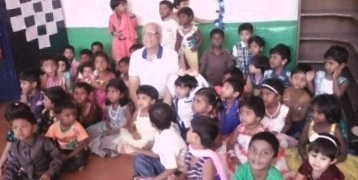 Character Development in kids happened with stories about kindness, being cheerful and diligent. In circle time, children learned to greet each other with a smile and to reply to one another. Theme of the month for circle time was on transport. Learned jingles and rhymes associated to the holiday season like Jingle bells, Santa Claus is coming to town and We wish you a merry Christmas. Class room rules, School’s name, Teacher’s name, Founder’s name were revised again for them. Telling the days of the week and months of the year orally were repeated this month too. 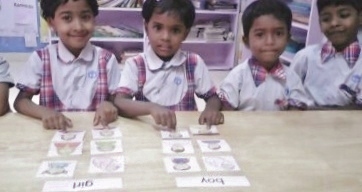 In Jolly Phonics Phase one, children learned to follow the sound and words about sounds. 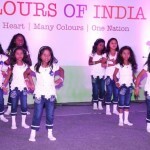 They learned lessons on Rhythm and Rhyme with activities. Revision of letter sounds for s, a, t, i, p, n, c, k was done again. Community helpers like waiter/waitress were discussed and charts and PPT were shown to them. 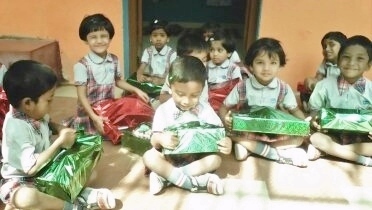 In character development, being helpful and cheerful was talked about in the class. Furthermore, children enriched their vocabulary learning to differentiate between words like day, night, open and close. Well balanced nutritious meals were prepared and served every day. 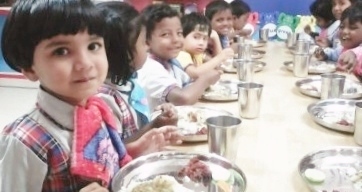 Children were served breakfast and lunch on all working days. A total of 1,106 meals were served this month. A meeting was conducted on December 5th on curriculum aspects by Sue Griffiths. The meeting focused on journal writing, methods of reading a story to children, using flash cards for activities and teaching math concepts. The session was very useful for the teachers. 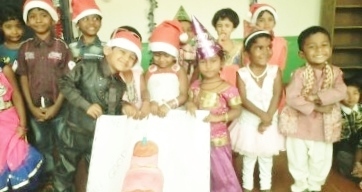 Christmas celebration in Gardenia School happened on the 17th. 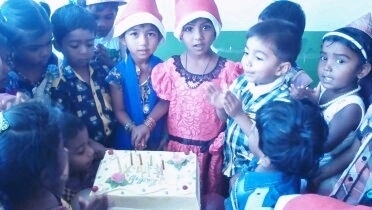 Children received special gifts, cake and lunch for Christmas. 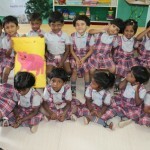 The AlphaBet Club has brought a great achievement for kids students. It has learn first letter and learn about nutrition. 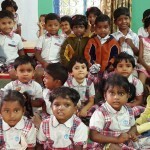 In here consider, children would great improvement from AlphaBet Club in future.